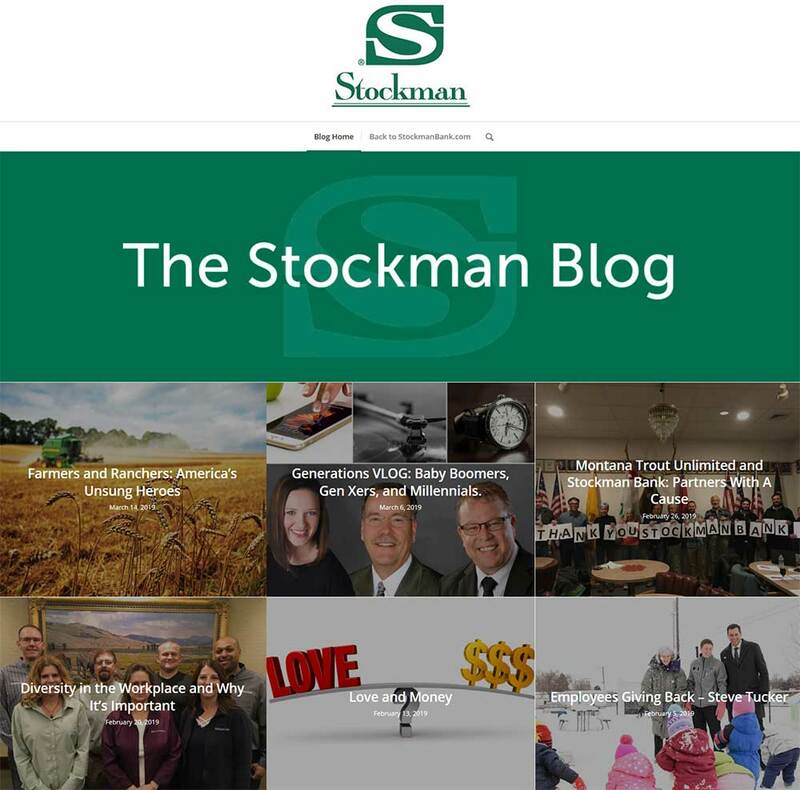 Stockman Bank is a family owned, community bank with locations throughout Montana. They are the first bank in their area to share their stories on a regular basis through blogging. We’ve been working with our good friend Julia Warmer, Digital Media Manager for Stockman Bank, to help make that happen. We built a blog website to be the home of their stories. We love the mosaic of pictures that tell a story by themselves before you even click into a specific blog post.